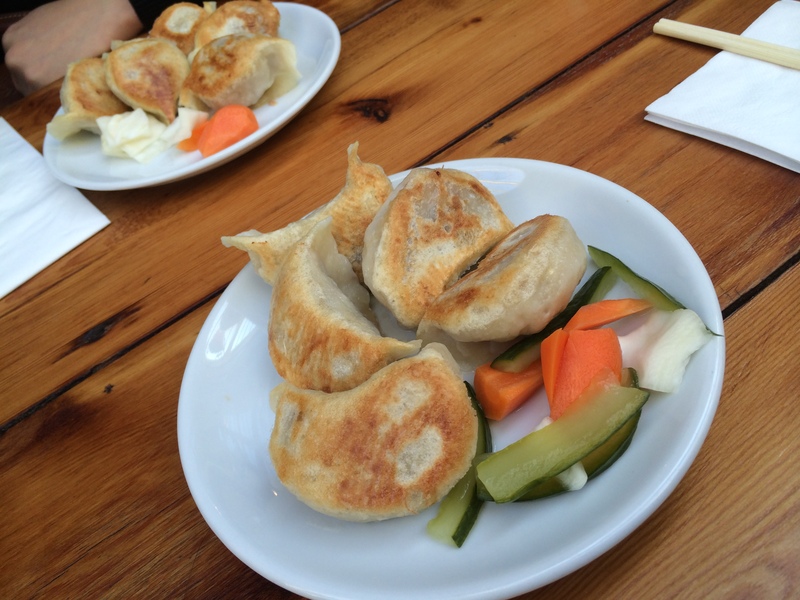 I <3 Brixton Village and the mixture of food cultures all in one area. You see it was my birthday and I could not figure out what I wanted to eat for my birthday meal. Indecisive and open to eating anything I suggest to head to Brixton and let my nose follow the smells. 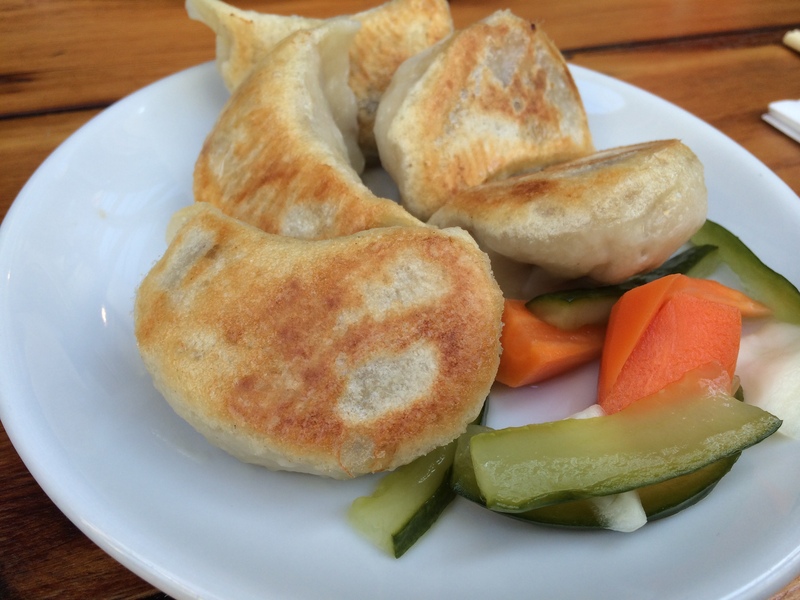 We started off at Mamma Lans for some dumplings; they tasted exactly how I remembered them crispy pan-fried thick skin, filled with mouthwatering juicy meat. 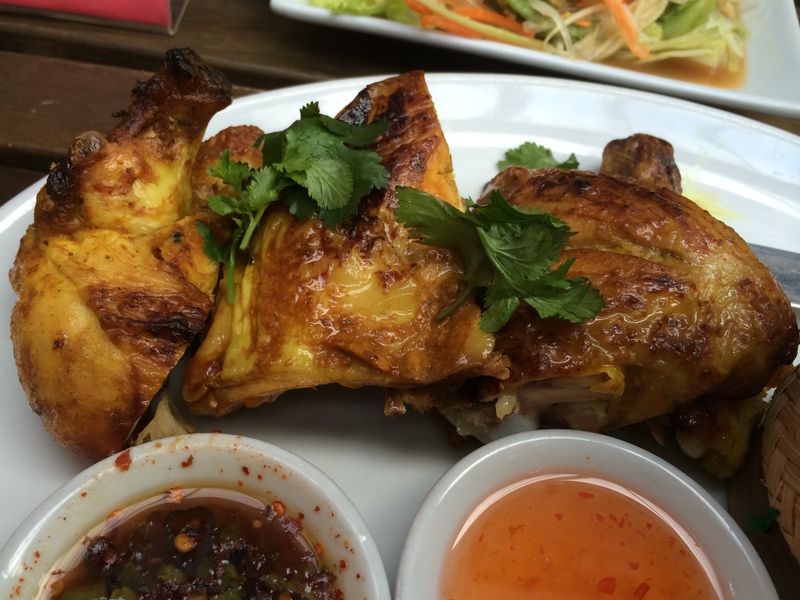 The juices of the meat will drip onto your tongue, full of savoury Asian flavours. 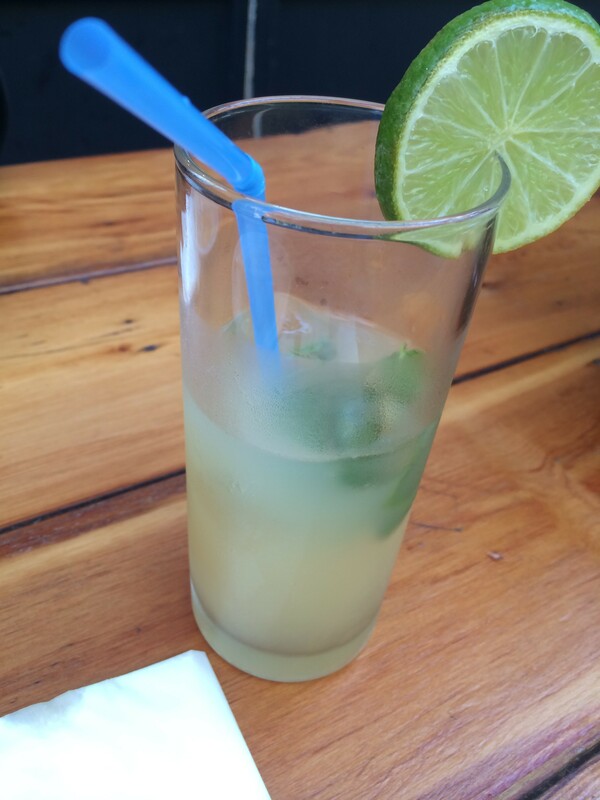 We could not get enough of them. Moving on to the actual dinner, I thought we head to KaoSarn already a favourite amongst my friends I’ve been meaning to go for a while. KaoSarn is a family run Thai restaurant, and there was a queue forming. 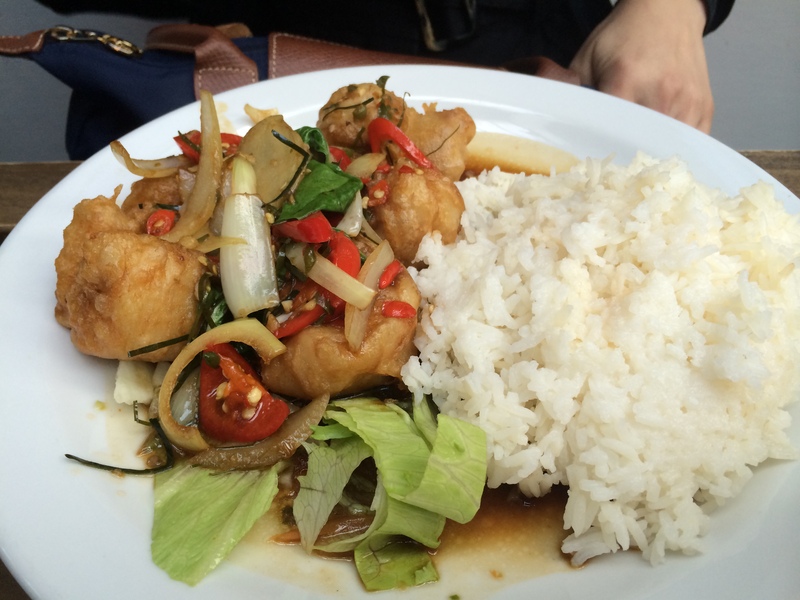 Looking around the tables of diner’s food, I was drooling ready for my Thai feast. I got Gai Yang, Khao Neaw, Som Tum, as I fancied salad and some chicken and rice. 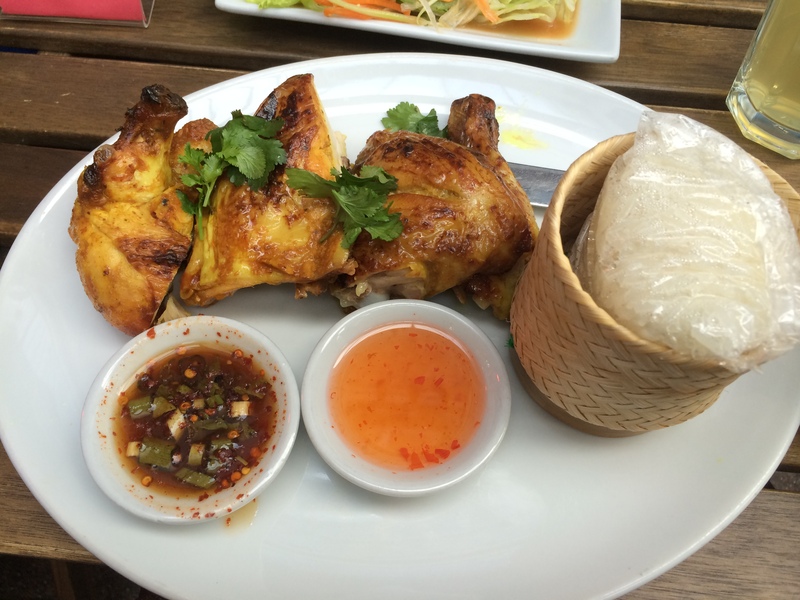 A perfection combination of traditional sticky rice served in a bamboo basket and a half grilled chicken with green papaya salad. 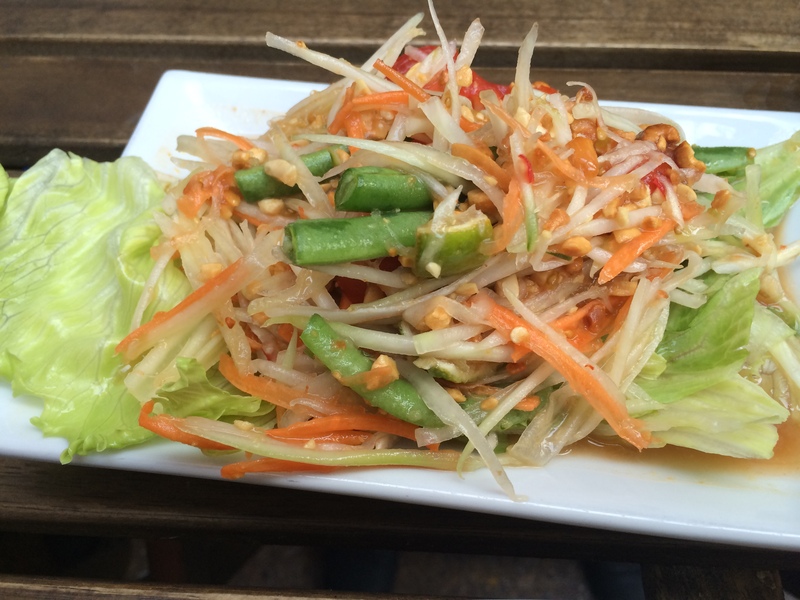 The green papaya salad hit the spot perfectly, a mixture of beans sprouts, green beans, chilli, carrots tossed in a sweet and sour dressing, on top of crispy iceberg lettuce with roasted peanuts. 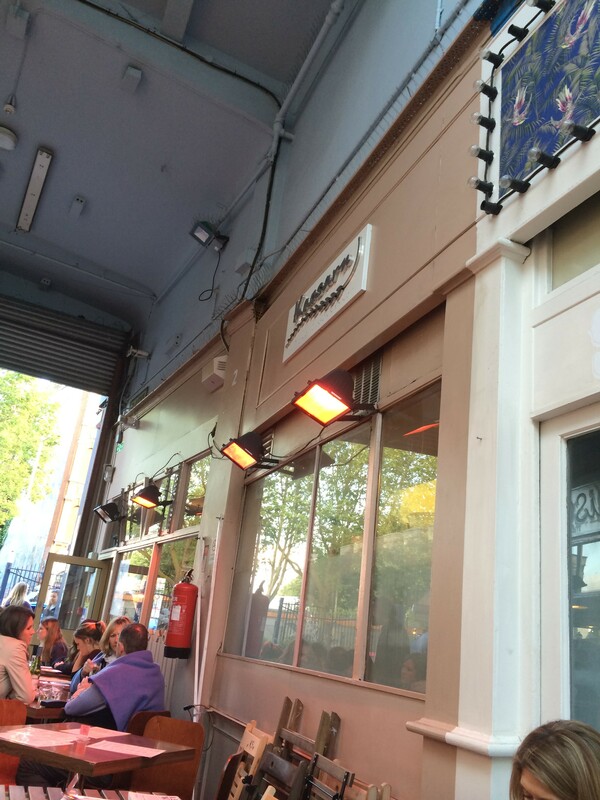 The grilled chicken came in a luminous yellow colour, with edges of charcoal brown from being grilled. Three big pieces lay alongside each other, chopped so neatly it still lined up together. Accompanying the chicken and sticky rice was two dipping sauce, one a sweet chilli one and the other green onions, chilli pepper seeds. The chicken was a bit of a hit and miss, where the parts that weren’t overcooked it was amazingly tender, with flavour. Then there were parts of the chicken was overcooked and dry, hard to shallow. The thing to avoid at KaoSarn is the homemade lemongrass tea, so watered down and horrible tasting. Overall KaoSarn is a great place for a bargain meal, as my two dishes were only £12.50.